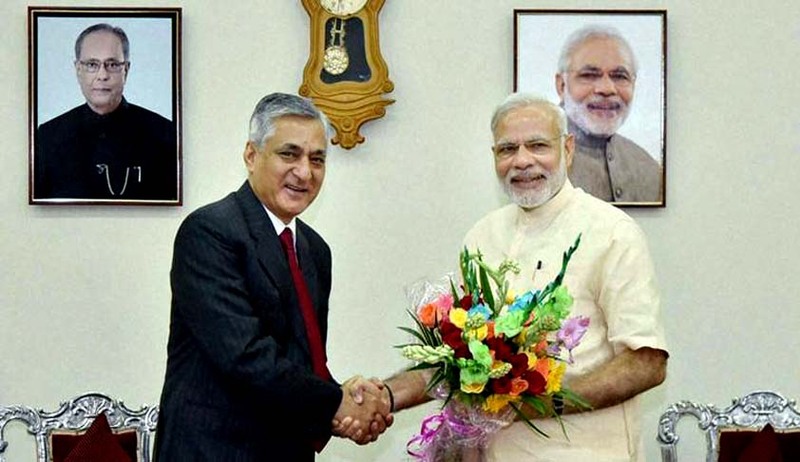 CJI Thakur Gifts MoP To PM Modi?- Did The Birthday Diplomacy Work? The tussle between the judiciary and the government on appointment of judges seems to have finally settled. Chief Justice of India T.S. Thakur told reporters at the 2nd J.S. Verma Memorial Lecture in Delhi that the Memorandum of Procedure (MoP) has been agreed upon by the centre and judiciary. The question is- how did the issue get 'sorted out'? It must be noted that the Prime Minister's office took to Twitter to say that the Chief Justice and the Prime Minister Narendra Modi had a breakfast meeting on the PM's birthday on Saturday. The Chief justice was in Gandhinagar for an event at that time. Could the settlement of the finer aspects of Memorandum of Procedure come at the meeting? Although birthday diplomacy is PM Modi's favourite, the last one- when he flew to Pakistan to meet Nawaz Sharif did not hit the expected notes. But this one, if the Chief Justice's words are to go by, this birthday diplomacy is a big win for the government. Around 400 appointments at the higher judiciary level are pending, crippling the courts in various states. A number of public interest litigation cases have also cropped up before the apex court seeking faster appointment of judges. Last week, Attorney General Mukul Rohatgi submitted status of appointments in a sealed envelope to the court as a response to a PIL. The agreement on MoP is not just a won for the government but also a face saver for the judiciary as it comes at a time when it is facing much criticism on appointment of judges. Justice Chelameswar, who is a part of the Collegium made his decision public about not participating in Collegium meetings as they lack transparency. The court had asked the centre to finalise the MoP after it held the 99th constitutional amendment and the National Judicial Appointments Committee as unconstitutional in October 2015.